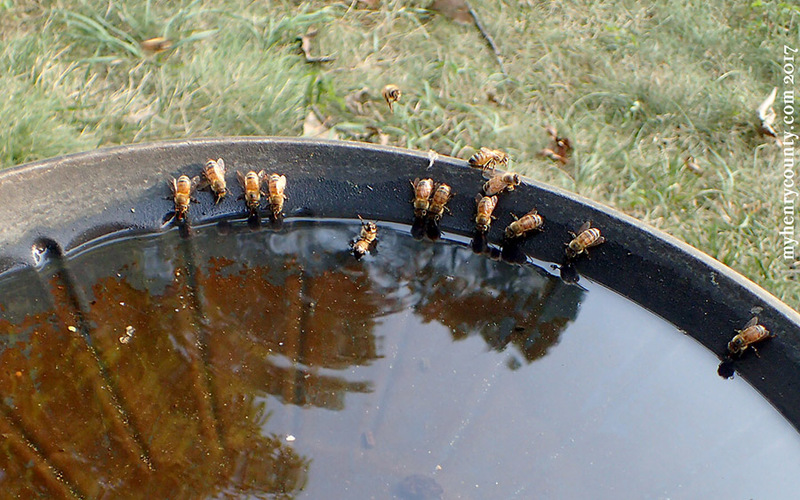 A Henry County native, now living in Midlothian, VA, has a bee watering hole. The birds gave up their "bath" readily when the bees appeared. They look like honeybees.